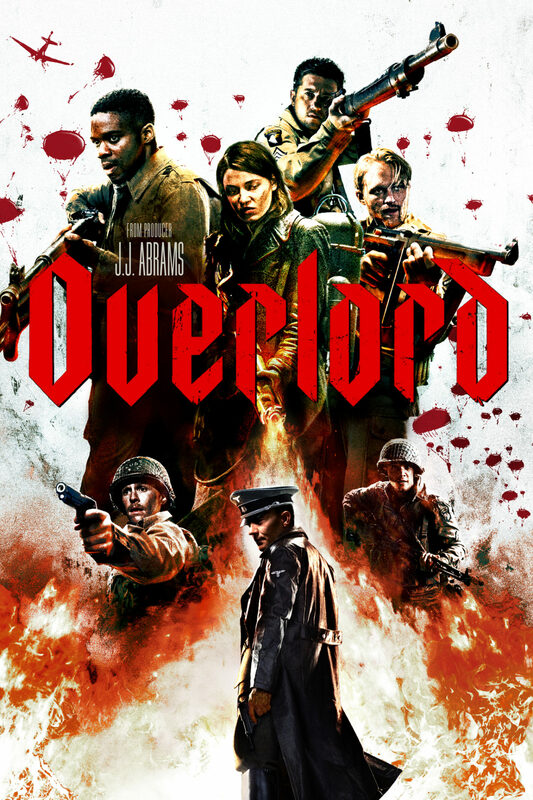 Let’s get the review portion of the review out of the way early; “Overlord” is pretty good, and if you like zombie horror, WW2 flicks, or action-pulp video games like “Wolfenstein”, then you’re going to enjoy “Overlord”. Its pleasingly splattery, and it spends its comparably thrifty budget on some nicely lurid special effects. Ok, there you go. 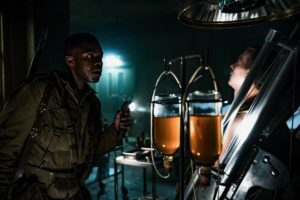 If you want to watch Nazis get blown to bits, resurrected and blown to bits again, then you’ll want to watch “Overlord”. The question I’d like to spend the rest of the column pontificating, then, is: is it brave of Hollywood to make a midbudget horror movie that doesn’t court our country’s burgeoning Nazi (oh excuse me, don’t be offended, I meant to say “alt right”) population? I shouldn’t so – as a 31-year-old consumer of pop culture I was raised on images of Nazi obliteration. It started with (two of the) Indiana Jones, who had raucous, red-blooded American fun shooting, punching and helping melt the faces of Nazis with the help of his girlfriends, father, and God himself. Then there was “Wolfenstein 3D”, one of the progenitors of the Nazi-slaughtering simulators that would follow, including the original “Call of Duty”, “Medal of Honor”, and a host of “Wolfenstein” sequels. I even remember explaining to my mother, not an appreciator of violence generally, that I wasn’t shooting regular people in these video game, I was shooting Nazis. Now nationalistic partisans with viewpoints that smack, more than a little, of Nazism are able to at least partially dictate the direction Hollywood films take. Witness the cacophonous squawking of reactionary neckbeards about female casting in “Ghostbusters”, inclusivity in the latter “Star Wars” films, even the so-called feminist bent of “Mad Max: Fury Road”. Speaking of which: if you think that the assertion that women ought not be the slaves of grotesque warlords is in any way offensive, you might just be a Nazi yourself. Which brings me back around to “Overlord”, and its pulpy, plucky refusal to play to the alt-right. The movie never once dog whistles any of that garbage you hear in the ether these days. Nobody says “there were good people on both sides”, for instance. Thank God. 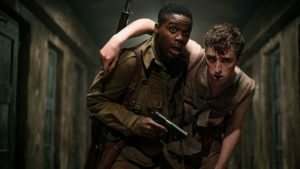 Because “Overlord” is the kind of thing that would be commonplace in the America of my youth – an uncomplicated and wholesome bit of schadenfreude in which a whole bunch of Nazis meet nasty ends at the hands of an ethnically diverse bunch of Allies. “Overlord” is good fun, sure. And ten, fifteen years ago it would have been commonplace. Now, in the nightmare world we find ourselves in, “Overlord” really might be brave.